Hugo Caballero, also known as DJ Gandulk, is a built- in music-man all the way down to his genetic core. 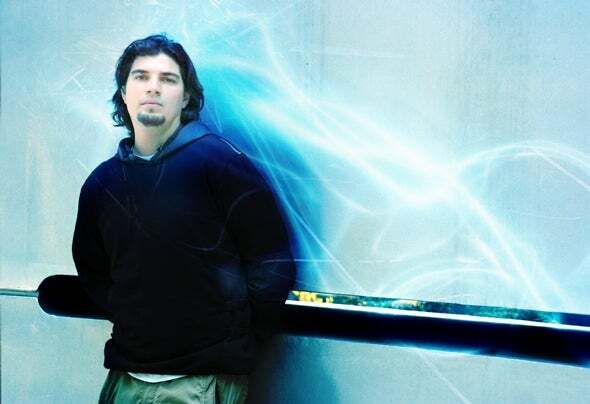 He was already playing guitar, composing rock, and alt ernat ive t unes at a very young age, unt il allured by high-end electronica, he paired up with Ojos to create their successful Trancemission project almost a decade ago. This t rooper has conquered t he heart s of party enthusiasts all over The Earth with Trancemission; However, ultimately seduced by a more subtle nonetheless powerful beat, Caballero has sunk in deep space -right where the thick matter lies- dispatching his signature PPG (Puro Pinche Groove).T oget her wit h his alt ernat ive project2UP & Caballero, which he shares with no other than Odiseo, Gandulk has recently signed up with the all- star Maia & Undergroove music team, so know for sure the best from this artist is yet to come.Solo or alongside either of his partners in crime, Gandulk provokes a major uproar... Enough to rise the dead and get them going! 2011 Has been an explosive year for Caballero, after release many tracks remixes and collaborations, playing all over Mexico, Brazil, Australia and other places, his energetic live act its highly solicited now a days winning fans everywhere everyday.